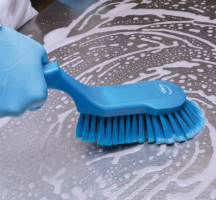 We offer hundreds of chemical products that maintain the highest standards of cleaning and sanitation, from the kitchen to the processing plant. Rockwater makes food service smooth and simple. 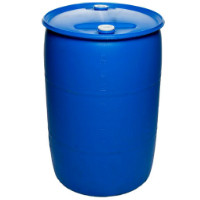 Learn more about our Chemical Listings. The complete line of Eco Select products provide a cost effective means to maintain facility cleanliness while being environmentally friendly. We have a product for every cleaning need. 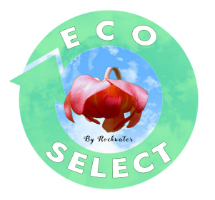 Learn more about our Eco Select Products. Proud partner Kimberly-Clark supply high quality roll towel and washroom tissue for your high-capacity restroom needs. Complimentary dispensers and professional installation make upgrading current facilities hassle-free! Learn more about our Kimberly-Clark Products. 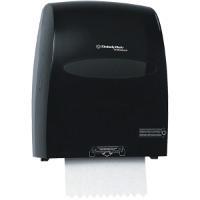 Rockwater carries a complete line of Deb Hand Hygiene products, the world’s leading skin care company. Rockwater provides skin care consultation for all types of workplace and public environments, commercial, healthcare and food sectors. 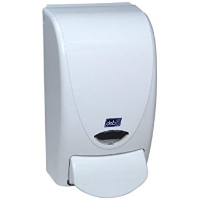 Complimentary dispensers and professional installation make upgrading current facilities hassle-free! Learn more about our Deb Products. Our Remco products are top quality colour-coded tools for use in environments where hygiene and efficiency are essential. Renoun for their durability, Remco products will increase worker production and effectively organize workplace cleanup. Learn more about our Remco Products. Our “Liqui-Bac Plus” chemical solution is the ideal answer for maintaining drain lines, grease traps, odor control, septic and waste treatment. 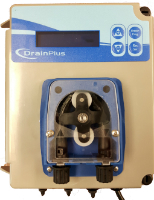 Rockwater also provides worry-free timed dispensors that will automatically dispense the chemical based on each customers individual needs for maximum efficiency. Learn more about Liqui-Bac Plus. Introducing our new super strong, eco-friendly, Garbage Bags. Available in multiple sizes, colours, and strengths to suit your needs. 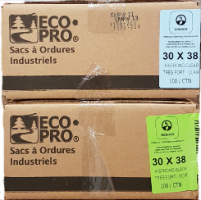 Learn more about our Eco Pro Garbage Bags. Rockwater provides no-charge, same day delivery to all local customers after meeting the minimum order amount! Call today for details 709-745-7625.